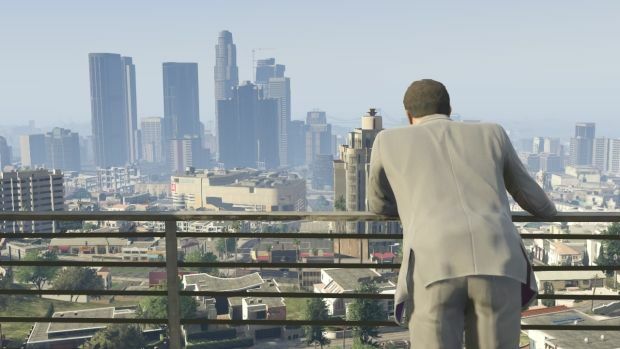 It looks like the long-awaited PC version of Grand Theft Auto V will take up seven total discs to install. News of this comes from a post on Reddit, where a leaked image of the PC version of the game was shown to contain seven DVDs. A separate source has reached out to Destructoid to confirm that the image is legitimate, and that GTAV’s 65GBs of content must be installed across seven discs for PC users. That’s five more discs compared to the only other version of the game that uses DVD discs, the Xbox 360 version, which required two. Grand Theft Auto V is coming to PC on April 14th, and the first trailer of the PC version in action shows the game running at 60fps. As of February, GTAV has shipped 45 million copies across PlayStation 4, PlayStation 3, Xbox One, and Xbox 360.